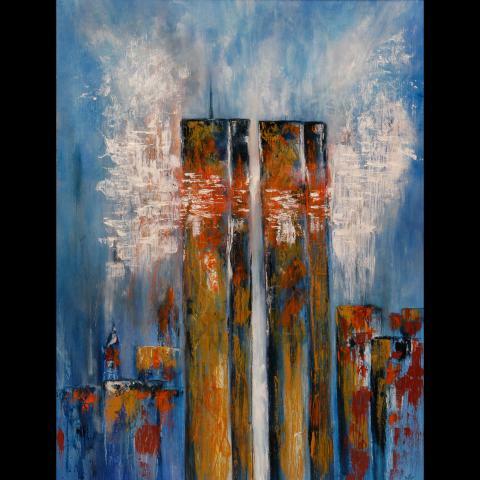 Twelve years have passed since the attacks of September 11th, 2001. At the time, my now-husband and I were students working towards our Master's in Teaching degree. When we began teaching the following year, September 11th was a day of mourning marked by a moment of classroom silence, then discussion. Today's high school students no longer remember September 11th firsthand--they were too young. (It's eye-opening to see how quickly collective memory begins to disappear.) But the questions of that autumn day can still be taught: Why our nation was targeted, why America is not loved by everyone outside her borders, how people responded, and most importantly, how we ought to respond to those who wound and scar us. Below is an email that I received on September 11, 2001, from a distant French family member (whom I had never met). Qui aurait pu imaginer que de tels événements puissent se produire ? After the horrible terrorist attacks on your country yesterday, we want to assure you of our warmest thoughts and sympathy. Who would have been able to imagine that such events could happen? Terrible madness. Take courage. J.L. I am sure that many such emails were sent to Americans from friends and acquaintances around the world. Such messages remind me of the beauty and love in the hands of those who rush in to staunch a bleeding wound. May we not forget the lessons that come with scars. May we find tangible ways to help when tragedy occurs. May we care deeply about people beyond our borders. Whom did you seek out on that devastating day? How do you think the events of that day have changed you?